Make yourself at home in one of the 3 individually decorated guestrooms, featuring kitchenettes with refrigerators and stovetops. Flat-screen televisions with satellite programming provide entertainment, while complimentary wireless Internet access keeps you connected. Conveniences include microwaves and coffee/tea makers, and housekeeping is provided once per stay. Enjoy a satisfying meal at La Table de Plaisance serving guests of Hostellerie De Plaisance. Quench your thirst with your favorite drink at the bar/lounge. Full breakfasts are available daily from 7:30 AM to 10:30 AM for a fee. 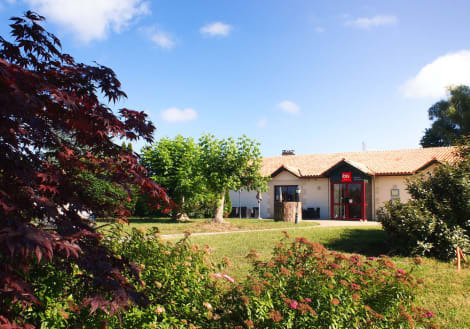 lastminute.com has a fantastic range of hotels in Saint Emilion, with everything from cheap hotels to luxurious five star accommodation available. We like to live up to our last minute name so remember you can book any one of our excellent Saint Emilion hotels up until midnight and stay the same night.